Description: RAVINA END UNIT. 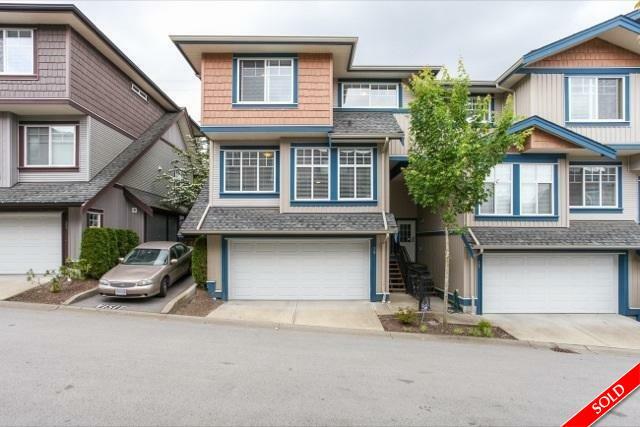 Beautiful, clean, 4 bedroom, 4 bathroom townhome located in desirable complex. Main features: Large, bright living room, Dining, kitchen with granite counters, stainless steel appliances, eating area, powder room leading to sundeck and private yard. Above: Master bedroom with walk in closet and ensuite, 2 more bedrooms, laundry and full bath. Basement features double garage and Media/bedroom with full bath. Close to schools, transit, shopping and Recreation.